2019 Model Search Winner Joel Burke for Energetiks in Queensland, Australia. Photographed by Elly Ford. 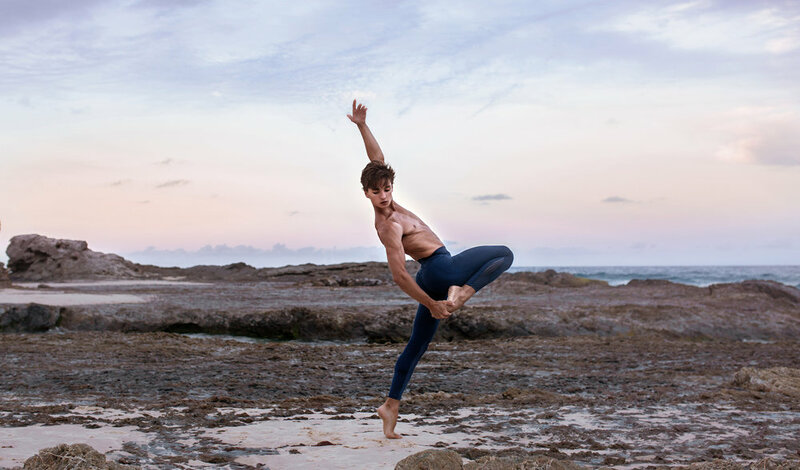 “I wasn’t born with the perfect ballet body,” says nineteen year old dancer Joel Burke matter of factly, and I attempt not to look incredulous. The Brisbane-born dancer is sitting casually beside me on a park bench surrounded by the landscaped scenery of the Brisbane City Botanic Gardens after two days of demonstrating exactly the kind of technical and physical prowess that many an audience member (and fellow dancer) would describe as just that. In December last year Energetiks were thrilled to announce Joel as our 2019 Model Search Winner alongside Dance Informa magazine for exhibiting all of the exceptional qualities we look for in our Ambassadors, and then some. Grounded, intelligent and driven, Joel’s accomplishments so far suggest nothing but promising things for the future, something that can be attributed to a winning combination of talent, professionalism, work ethic and self-assurance. It doesn’t hurt that he’s also extremely likeable, peppering our conversation with self-deprecating jokes and a cheeky sense of humour. And whilst there’s no evidence to suggest that Joel started with less than an ideal physique for dance, after talking with him over the course of the photoshoot it becomes clear that he has the willpower and tenacity to overcome obstacles and still end up ahead of the crowd. “It wasn’t something that came naturally to me,” Joel reflects of his first experience with dance, “I wasn’t naturally co-ordinated or anything, and I started ballet late too. So when I joined a proper ballet school for the first time, I just had this drive that was unreal,” He explains. I get the impression he's someone who only becomes hungrier for something the more impossibly challenging it seems; “I would make sure I got to ballet before anyone else, because I figured if I’m there before anyone else, I’m working harder, for longer, than anyone else. And I’m getting better than everyone else at a faster rate… That’s not competitive at all, is it?” he asks wryly. He admits there were definitely uncomfortable moments and treatment from those who didn't 'get' ballet that got under his skin at first, but paradoxically the willpower and mental strength you need to pursue a ballet career is an advantageous attribute for dealing with the unfair comments and behaviour it often exposes boys to. “It did bother me a bit when I was younger. Mainly because I didn’t understand why someone would judge what someone else does. Everyone’s doing their own thing, you know. What does it have to do with you if someone has chosen something different with their life?” Joel shrugs, “But you build a thick skin pretty quickly. I realised if someone judges me for doing something, really the only person being affected by that is them. I eventually hit a point where I was like ‘well, I’m happy’, and it really didn’t bother me too much anymore. Now I find it kind of funny.” He grins. “You know even when we were doing this photoshoot some people were laughing about the tights!” He adds, eyes dancing with amusement. I do remember some extended stares from entertained beach-goers and try to protest that they were more likely envious - which only makes Joel laugh. “No, I think they were laughing,” he replies with a knowing smile. Allowing mistakes to be part of the learning process has enabled Joel to develop a robust mentality towards whatever moments life brings his way, good or bad. When others might feel inspiration waning, this is when he feels most driven. “I think everyone can inspire you. And anything. It’s about the mindset, and approaching everything - especially the negative stuff – not from the perspective of ‘why is this happening to me?’, but ‘what is this teaching me?’. If you can do that then you can find inspiration in literally anything. You’ve just got to look at the world the right way.” I'm no longer surprised that when I ask him to share what motivates him through a challenging day in the studio, his answer is appropriately counter-intuitive – “I think that is what motivates me. The moment something gets hard, that’s when I can’t wait to overcome it,” he responds. “Your mind stops at 40% of its capability. So when you’re at 40% physically that’s when your brain says ‘OK stop, that’s good - we’re good now.’ But what happens when you use that other 60%? That’s the challenge and the growth. That’s where the fire is. The moment you get into that phase is when you realise ‘wow, how far can I go’." After the milestone achievement of competing at the Prix de Lausanne in 2017, Joel returned to Australia in better form than ever, finishing the year as the recipient of the Francois Klaus and Robyn White Award. 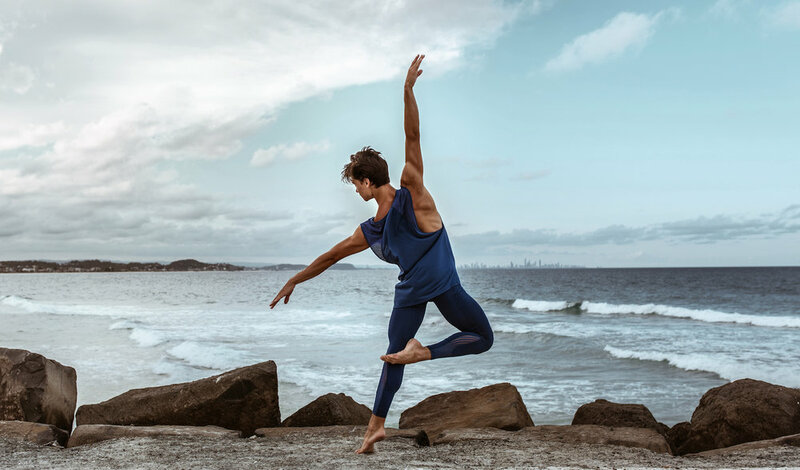 Yet with an incredibly bright future on the horizon at Queensland Ballet, in 2018 Joel made the bold decision to walk away, sacrificing the security of a company schedule for the daunting freedom of an independent career. Joining a well-regarded company can be one of the most elevating accomplishments for a dancer. Yet it’s easy to see why some might become disenchanted with their career path once the glamour and novelty of professional life wears off, when after years of training and complete dedication to their discipline many face the prospect of spending years and years in the corps de ballet; wondering whether the highlight of their career will be the solo performance opportunities given to them whilst still a student. Many (in fact most) dancers who dream of holding an audience captive on stage will never make it to Principal status, and rarer still is the number of dancers with the courage to reject those safer, more conventional routes to the top in favour of the less stable pathway of an autonomous career. And it’s easy to guess why; if you find yourself without consistent work or regular opportunities to dance, ballet isn't something you can sideline for a few years for a 'normal' job, and then come back to at a professional level. Eschewing stable company life as a dancer is much the same as jumping from a great height, without a parachute. With seemingly everything within reach and so many indications of a promising future ahead of him, this is exactly what Joel did. “I think I’ve always had the tendency to do things a little differently,” he remarks, contemplating the decision. “I enjoy doing my own thing. If you can back yourself on your own, that’s when the greatest success happens. I’ve never really liked the idea of following a crowd, so if all the guys were doing football, or cricket, I went ‘Well then I’ll do dancing’.” And unsurprisingly to anyone who knows Joel, he’s gone from strength to strength ever since. 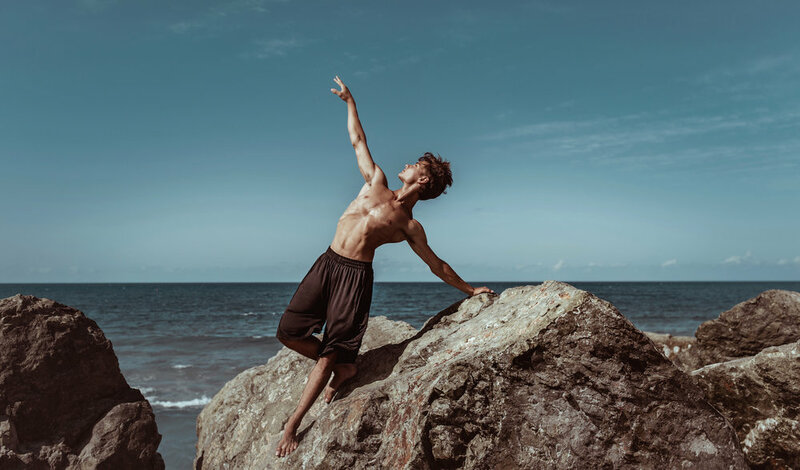 Venturing out on his own has opened the door to many more exciting experiences for the talented dancer, who’s also found time to take up teaching open classes (the first of which has had incredible feedback) on top of his own daily training. Joel has plenty more in store for the year ahead (you'll just have to wait and see on that note), not to mention being selected from the hundreds of applicants Australia-wide as the Energetiks and Dance Informa 2019 Model Search Winner. An accomplishment which also includes starring on the cover of Dance Informa Magazine’s current edition, as well as the upcoming honour of representing The Victorian Dance Festival as this year’s Official Ambassador. Talent alone is a flimsy guarantee of ever achieving success. The dancers, choreographers and creatives over the many decades since the dance industry emerged who have (and continue to) leave an impression are always those who are unafraid to break the mould, ignore expectations and take a risk. And whilst he’s still only at the beginning of a very promising career, we’re confident that Joel is one of the remarkable new faces worth keeping your eye on. For more on Joel see his cover photo and interview with Dance Informa in this month’s magazine here, and keep up with Joel’s dance journey on instagram. Joel will also be representing Energetiks at this year’s Victorian Dance Festival, as the Official VDF Ambassador for 2019. So get your tickets and come and join us in Melbourne, April 12th - 14th to be part of this year’s amazing event and meet Joel in person. Article and photography by Elly Ford. Alexandra McMaster talks dance, delicious food, and exciting plans for 2019.